Support Adrenals helps to balance out the adrenal glands and assist the body with chronic stress, mental function and fatigue. It helps to reduce the inflammation in the body. A synergistic blend of nutrition to support the body. Gluten free, yeast free. 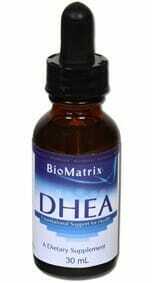 Therapeutic support for the Adrenal Glands. Assists in the body’s ability to fend off chronic stress. Helps with mental function and fatigue. Does not hyper stimulate compromised organ function. 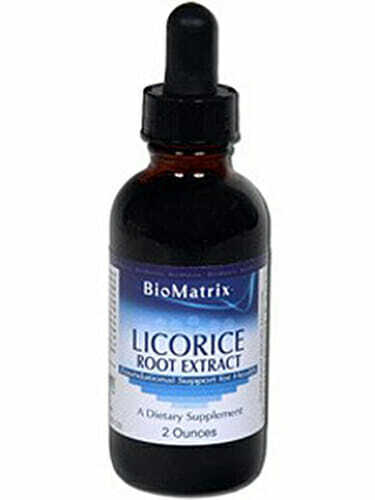 Assists in the reduction of inflammation. High in necessary B Vitamins to help with energy and chronic fatigue or stress. 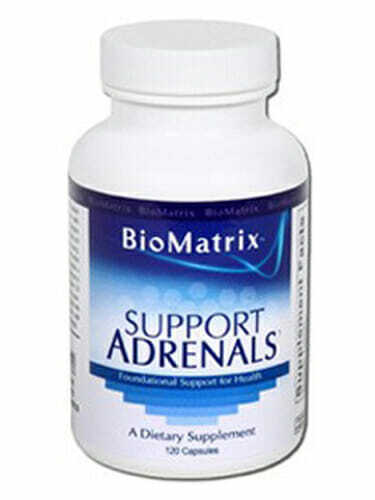 Two capsules of BioMatrix Support Adrenals provides you with a combination of nutritional support that works synergistically with the body to improve the function of the adrenal glands. Additionally, the addrenal glands maintain other aspects of the body to keep us healthy, not just during stressful times. 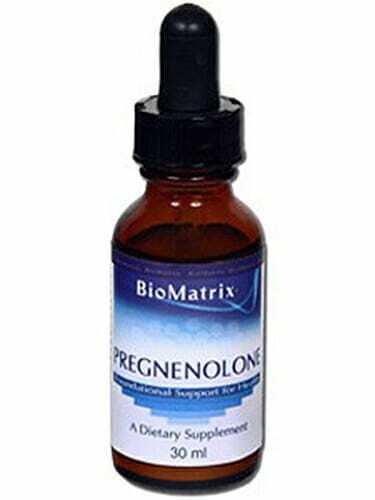 They release essential hormones for the body to function properly on a regular basis. Contains NO: Gluten, Yeast, artificial flavors or colors. As a dietary supplement take 2 capsules with breakfast and/or lunch. Caution: This product contains a desiccant. For best results, keep the desiccant in the bottle until all contents are consumed. DO NOT EAT DESICCANT. To ensure quality of product, the desiccant must remain in the bottle. 2. Patak P, Willenberg HS, Bornstein SR. Vitamin C is an important cofactor for both adrenal cortex and adrenal medulla. Endocr Res. 2004 Nov;30(4):871-5. 3. Chen H, Tappel AL. Vitamin E, selenium, trolox C, ascorbic acid palmitate, acetylcysteine, coenzyme Q, beta-carotene, canthaxanthin, and (+)-catechin protect against oxidative damage to kidney, heart, lung and spleen. Free Radic Res. 1995 Feb;22(2):177-86. 4. Lakaye B, Makarchikov AF, Wins P, Margineanu I, Roland S, Lins L, Aichour R, Lebeau L, El Moualij B, Zorzi W, Coumans B, Grisar T, Bettendorff L.Human recombinant thiamine triphosphatase: purification, secondary structure and catalytic properties. Int J Biochem Cell Biol. 2004 Jul;36(7):1348-64. 5. Kelly GS. Nutritional and botanical interventions to assist with the adaptation to stress. Alt Med Rev. 1999; 4(4):249-265. 6. Riboflavin and adrenal cortex. Nutr Rev. 1973 Mar;31(3):95-6. 7. Riboflavin and adrenal cortical metabolism. Nutr Rev. 1960 Jul;18:221-2. 8. Barthelemy H, Chouvet B, Cambazard F. Skin and mucosal manifestations in vitamin deficiency. J Am Acad Dermatol. 1986 Dec;15(6):1263-74. 9. Carlson LA.Nicotinic acid: the broad-spectrum lipid drug. A 50th anniversary review. J Intern Med. 2005 Aug;258(2):94-114. 10. Laber B, Maurer W, Scharf S, Stepusin K, Schmidt FS. Vitamin B6 biosynthesis: formation of pyridoxine 5′-phosphate from 4-(phosphohydroxy)-L-threonine and 1-deoxy-D-xylulose-5-phosphate by PdxA and PdxJ protein. FEBS Lett. 1999 Apr 16;449(1):45-8. 11. Fenech M, Aitken C, Rinaldi J. Folate, vitamin B12, homocysteine status and DNA damage rate in young Australian adults. Carcinogenesis 1998;19:1163–71. 12. Russel RM. A minimum of 13,500 deaths annually from coronary artery disease could be prevented by increasing folate intake to reduce homocysteine levels. JAMA 1996;275:1828–9. 13. Ray JG, Cole DE. Vitamin B12 and homocysteine. CMAJ. 2005 Nov 22;173(11):1359-60. 14. Nowak M, Swietochowska E, Wielkoszynski T, Marek B, Kos-Kudla B, Szapska B, Kajdaniuk D, Glogowska-Szelag J, Sieminska L, Ostrowska Z, Koziol H, Klimek J. Homocysteine, vitamin B12, and folic acid in age-related macular degeneration. Eur J Ophthalmol. 2005 Nov-Dec;15(6):764-7. 15. Zempleni J, Mock DM. Biotin biochemistry and human requirements. J Nutr Biochem 1999;10:128–38. 16. Somer E. The Essential Guide to Vitamins and Minerals. New York: Harper, 1995, 70–2. 17. Somer E. The Essential Guide to Vitamins and Minerals. New York: Harper, 1995, 70–2. 18. Fidanza A. Therapeutic action of pantothenic acid. Int J Vitam Nutr Res 1983;suppl 24:53–67 [review]. 19. Leonardi R, Zhang YM, Rock CO, Jackowski S. Coenzyme A: back in action. Prog Lipid Res. 2005 Mar-May;44(2-3):125-53. Epub 2005 Apr 20. Review. 20. Prasad AS. Zinc in human health: an update. J Trace Elem Exp Med 1998;11:63–87. 22. D.M. Danks. Copper Deficiency in Humans. In: “Biological Roles of Copper.” CIBA Foundation Symposium-79. Exerpta Medica, Amsterdam, 1980. 23. Wiesel LL, Barritt AS, Stumpe WM. The synergistic action of para-aminobenzoic acid and cortisone in the treatment of rheumatoid arthritis. Am J Med Sci 1951;222:243–8. 24. Vinson JA, Bose P. Comparative bioavailability to humans of ascorbic acid alone or in a citrus extract. Am J Clin Nutr 1988;48:601–4. 25. Kuo SM. Antiproliferative potency of structurally distinct dietary flavonoids on human colon cancer cells. Cancer Lett 1996;110:41–8. 26. Wurtman RJ, Hefti F, Melamed E. Precursor control of neurotransmitter synthesis. Pharmacol Rev. 1981; 32:315-335. 27. Levine J, Barak Y, Gonzalves M, et al. Double-blind, controlled trial of inositol treatment of depression. Am J Psychiatry; 152:792–4, 1995. 28. Kelly GS. Nutritional and botanical interventions to assist with the adaptation to stress. Alt Med Rev. 1999;4(4):249-265. 29. Harkey MR, Henderson GL, Gershwin ME, Stern JS, Hackman RM. Variability in commercial ginseng products: an analysis of 25 preparations. Am J Clin Nutr. 2001;73:1101-1106. 30. Castleman M. The Healing Herbs. New York: Bantam Books, 1991, 452–6. 31. Aqel MB. Relaxant effect of the volatile oil of Rosmarinus officinalis on tracheal smooth muscle. J Ethnopharmacol 1991;33:57–62. 32. DG Bailey, PhD, JMO Arnold, MD, HA Strong, PhD, C Munoz, MD, and JD Spence, MD. Effect of grapefruit Juice and naringin on nisoldipine pharmacokinetics. CLIN PHARMACOL THER 1993;54:589-94. 33. Guardia T, Rotelli AE, Juarez AO, Pelzer LE. Anti-inflammatory properties of plant flavonoids. Effects of rutin, quercetin and hesperidin on adjuvant arthritis in rat. Farmaco 2001 Sep;56(9):683-7. 34. Disorders of androgen synthesis–from cholesterol to dehydroepiandrosterone. Med Princ Pract. 2005;14 Suppl 1:58-68. Review. 35. Cerny I, Pouzar V, Budesinsky M, Bicikova M, Hill M, Hampl R. Synthesis of [19- 2H3]-analogs of dehydroepiandrosterone and pregnenolone and their sulfates. Steroids. 2004 Mar;69(3):161-71.